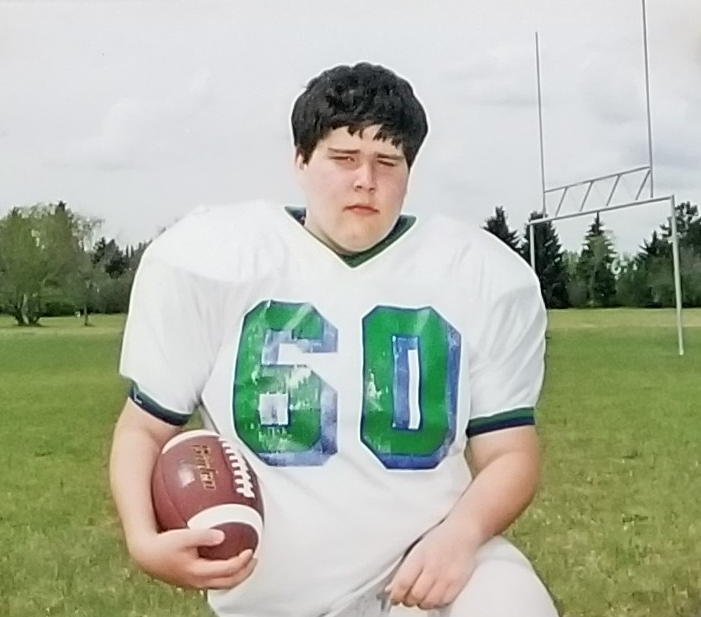 Craig joined the Edmonton Seahawks at the Peewee level in 2001. Craig was an O-Lineman...period. From day one he never complained about his position, instead, he embraced it and honed his skills day-after-day, season-after-season in the Seahawk Minor program before continuing to the Midget level. In high school Craig's hard work paid off - in 2004 he was named Ross Sheppard's "Lineman of the Year". There were many things that made Craig unique but it was his common Seahawk traits that made him so special - his love for football, his dedication to the game and his teammates, and his wry sense of humor. Craig was a quiet leader; he didn't miss many practices and was a cheerleader for the rest of the team. On April 27, 2006, the "Seahawks family" lost a child. At the tender age of 17, Craig lay down for a nap and never woke up. 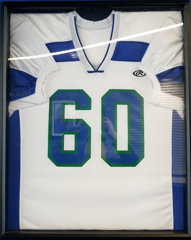 In honor of Craig, the football player, the Edmonton Seahawks presented Craig's parents with his game jerseys and formally retired his number (#60). In honor of Craig the person, the Edmonton Seahawks created the Craig Fey Memorial Award. For those of us who knew him, it was our pleasure; for those of us who did not, his memory lives on. Each year since 2006, the Craig Fey Memorial Award is presented to a graduating Seahawk Midget player who displays, on and off the playing field, the qualities Craig possessed: dedicated, considerate, hard-working, sincere, motivator, comrade, leader - and who represents...the ultimate teammate. recipient possess the following qualities on and off the football field - team spirit, considerate, dedicated, modest, supportive, love for the game of football; a team player who demonstrates camaraderie and sportsmanship and therefore, represents…the ultimate teammate.